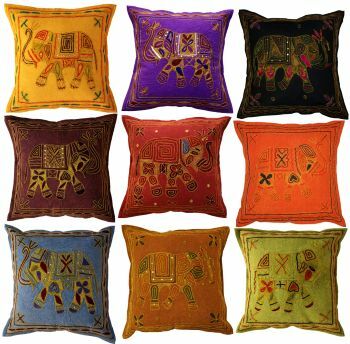 Panpaliya presents regularly produced Mixed Wholesale lots cushion covers, pillows, pillow covers. These ready to ship lots contain mixed assorted designs as per the pictures and more similar to the theme of the pictures. 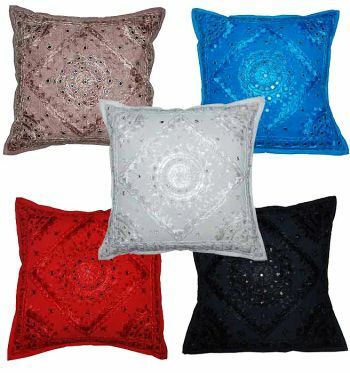 you will get a variety of colors and designs for maximum selling convenience and options. Our regular fresh production guarantees that the products you get are discount prices and consistent quality. Our experienced merchandisers select the products to send according to season, country and sometimes even places inside the country. So if you order the same lot every month, the designs will be different as per your country's season, color trends. Please note that these wholesale lots are special offers for online selling only to retailers, wholesalers, stores and boutiques. 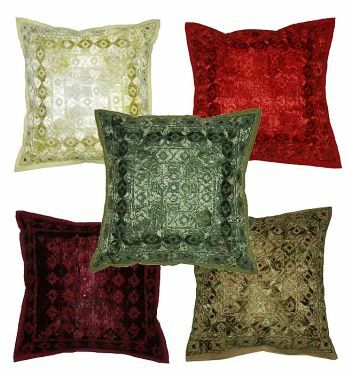 The hottest selling Wholesale lots textiles and handicrafted cushion covers from India. 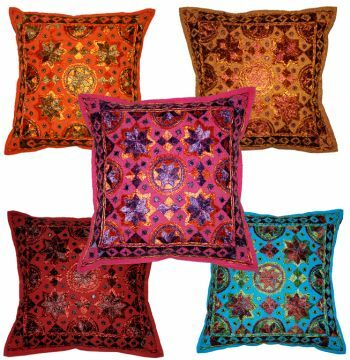 Bohemian Ethnic Hand embroidered with soft mirror work, cushion covers pillows covers, we offer great deals and discounts for bulk orders. We always hold more then 10000 pieces in this variety in stock. Do visit us in India for an amazing variety. 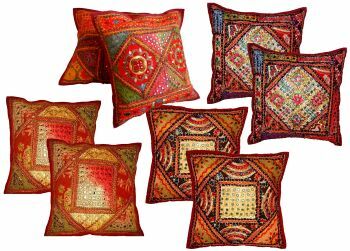 Wholesale lot of Bohemian Indian embroidered cushion covers at discount prices. Available in mixed assorted Lots pack directly from manufacturer in India.